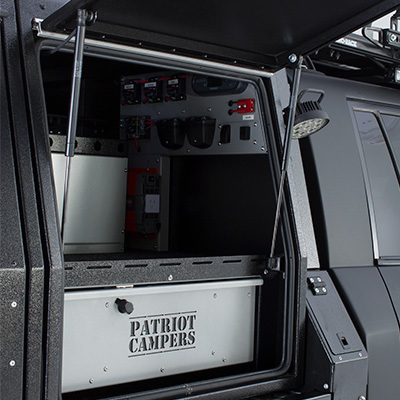 Based on a very capable offroad platform with V8 turbo diesel power, the LC200 has been taken by Patriot Campers to a whole new level in style, capability and comfort whilst still retaining the factory backed warranty on any unmodified parts of the vehicle. 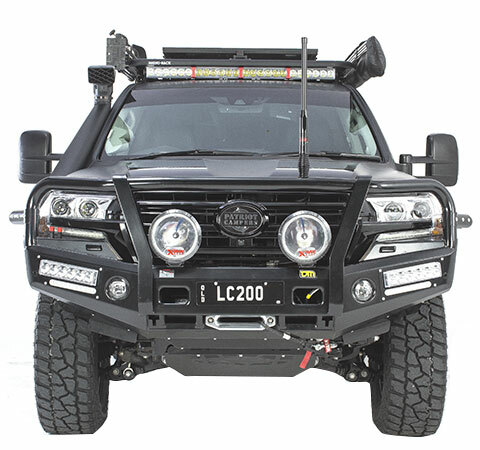 can build you a custom LC200 weapon to suit your needs. 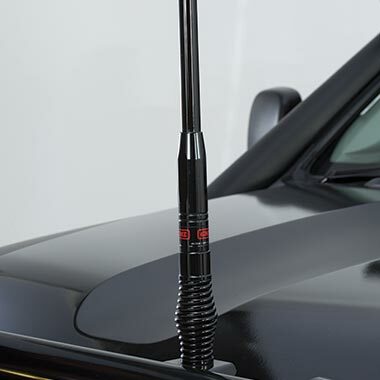 With a definitive look following your vehicles contours, the Supertourer's uniquely styled and functional body looks the business with color matched toolboxes and headboard infill on black highlights. 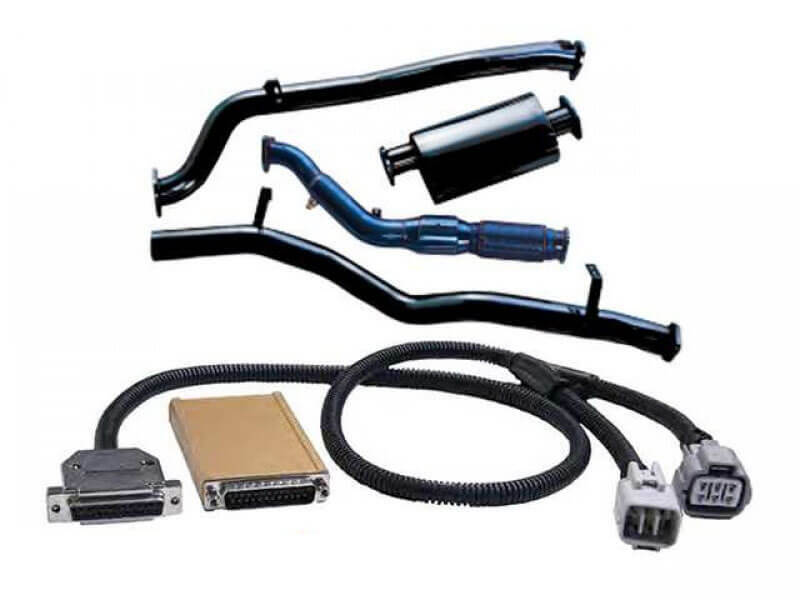 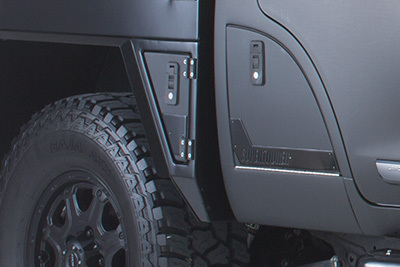 The body is made completely from Aluminium ensuring the expected lifespan. 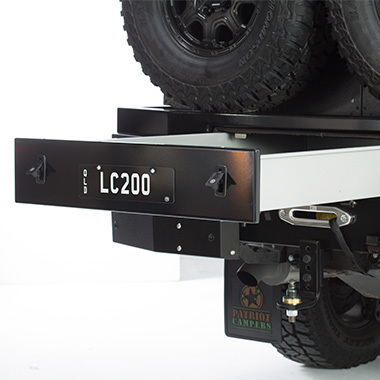 Light weight and rigid construction methods ensure that you can maximise the payload and towing capacity on your vehicle. 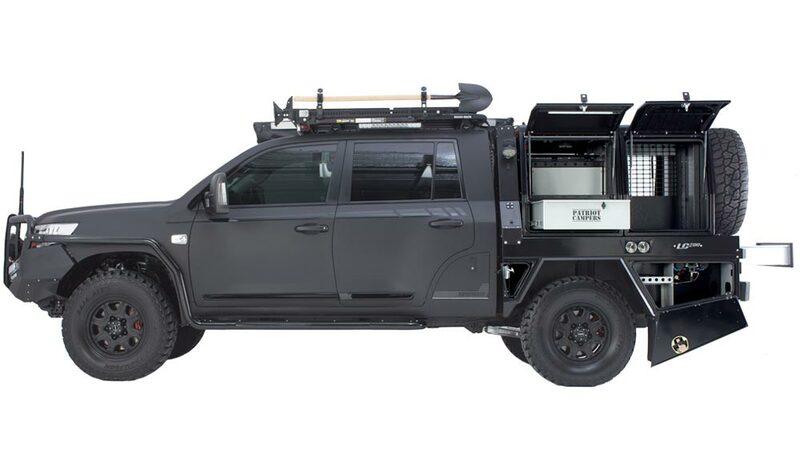 Oversize toolboxes house a kitchenette on the passenger side and an impressive storage compartment on the drivers side. 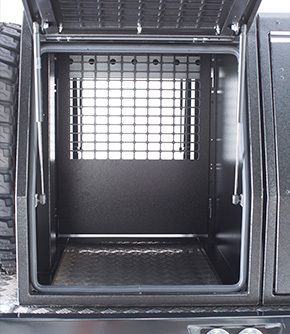 A massive rear lockable slide out drawer can be put to numerous uses further increasing your storage capacity. 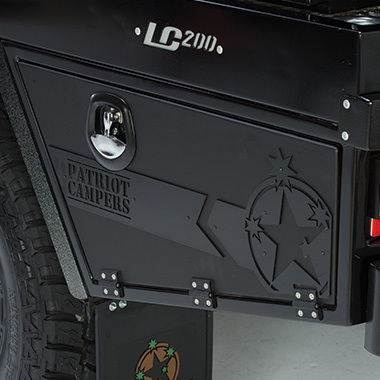 Tackle the roughest terrain with ease in the LC200 Supertourer™. 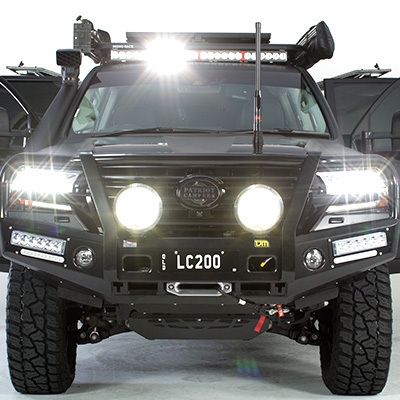 With a host of standard and optional suspension upgrades this rig is ready to rumble. 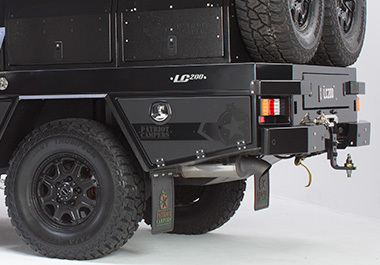 Using EFS Elite 60mm tube suspension, the Supertourer™ will deal with any road or track you want to throw at it. 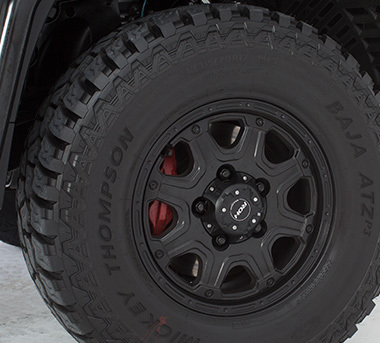 Attack the outback or just cruise the urban streets with this all-new military styled wheel from ROH. 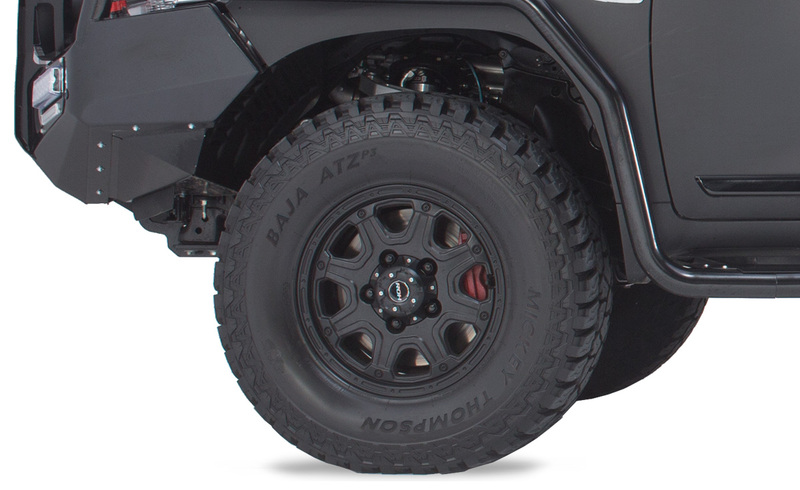 ROH Octagon comes in stealthy full matt black or matt black / bright machined for that tough off-road look. 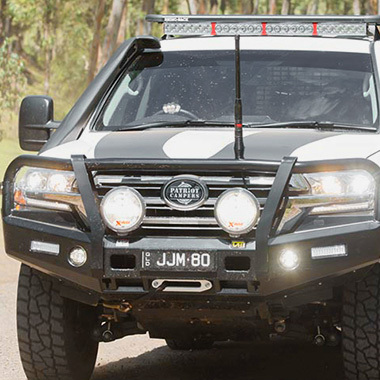 Octagon surpasses Australian Standard AS1638 for guaranteed off-road performance and up to 1,250kg load rating. 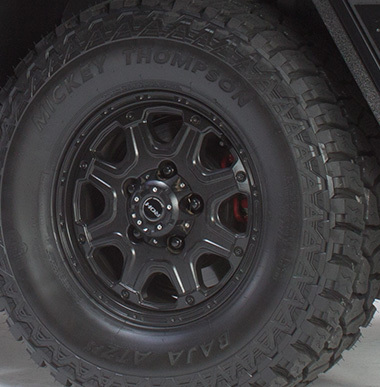 Mickey Thompson's Power Ply™ sidewalls with a special angled third ply to give you high performance handling, better puncture resistance, and improved towing capability. 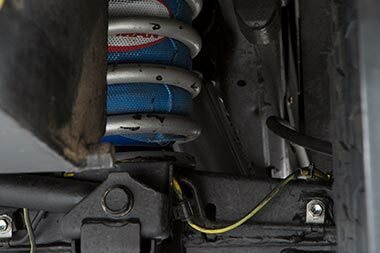 Using ICON remote resevoir coilover suspension, the Patriot Supertourers will deal with any road or track you want to throw at it. 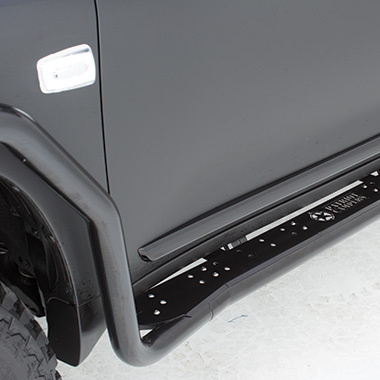 Matched with springs to suit your vehicle weight requirements up to 4inches of lift is safely available providing the lift you require to conquer any extreme terrain. 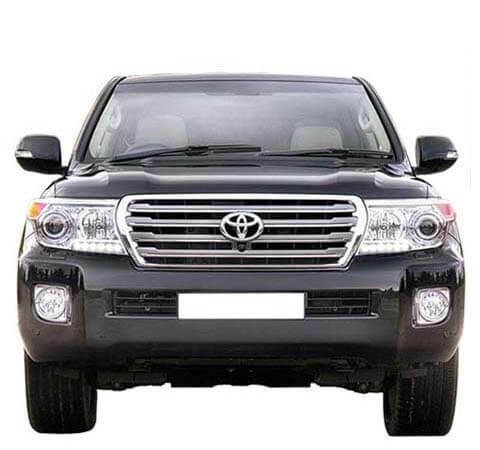 All top brands are also available for in house fitting. 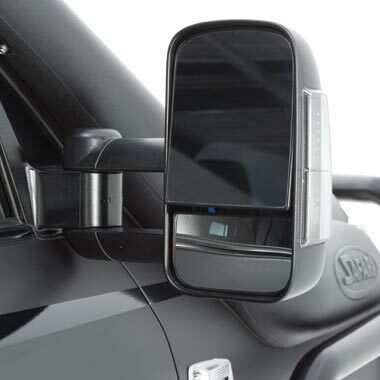 Stick to your route or make your own with the LC200 Supertourer’s proven navigation & communication set up. 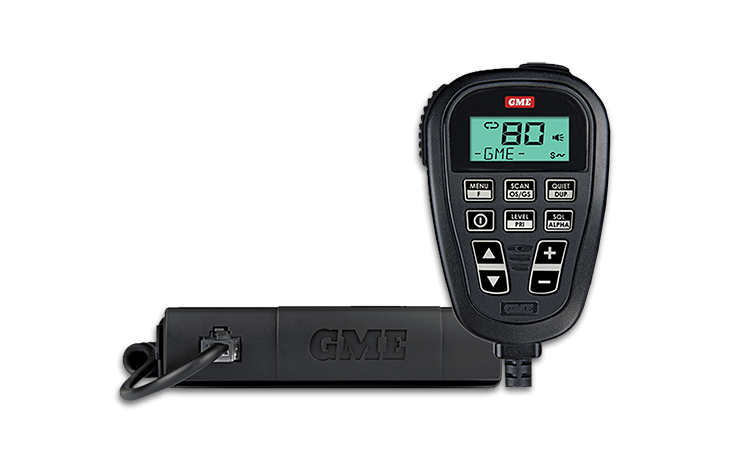 The top of the line GME TX3550S combined with the Hema HN7 are the perfect solution when roaming into the unknown and remote regions of Australia. 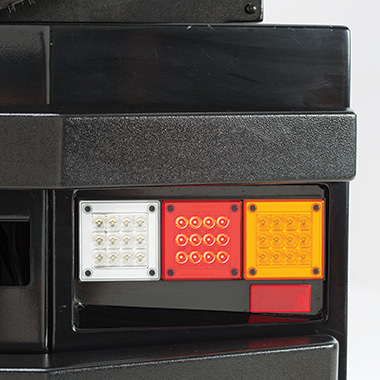 Bringing together all of GME's unique technology, including ScanSuite™; the latest in digital scanning technology; the TX3550S is the flagship of the S series family. 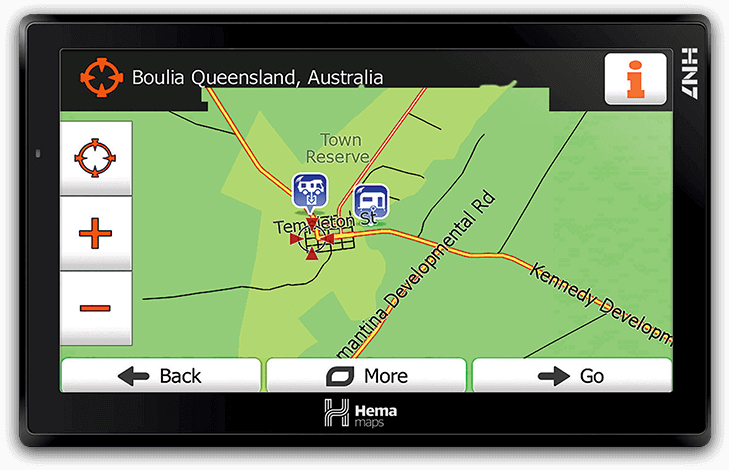 The Hema Navigator HN7 packages Australia’s most trusted touring and off-road navigation inside a 7-inch finger-touch screen. 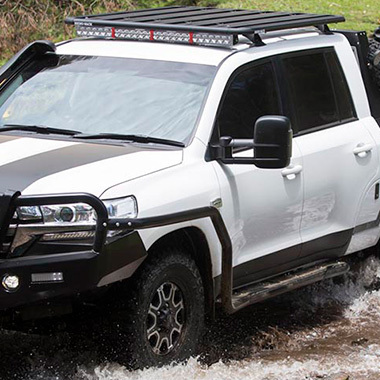 Explore Australia with street and 4WD navigation, over 6000 camping and touring points of interest (POI) and brand new campsite photos that maximise the HN7’s large high-resolution display. 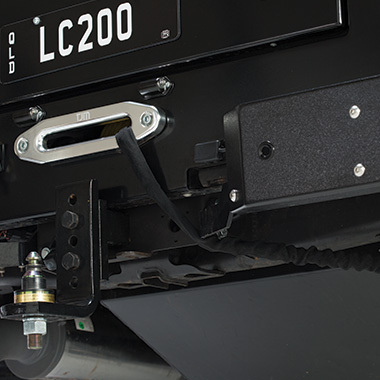 With an extensive list of options the LC200 can be configured just the way you like it. 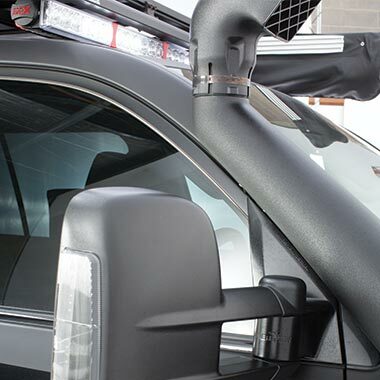 Countless hours or R&D have been invested into our Supertourer range and we know what you need when you need it. 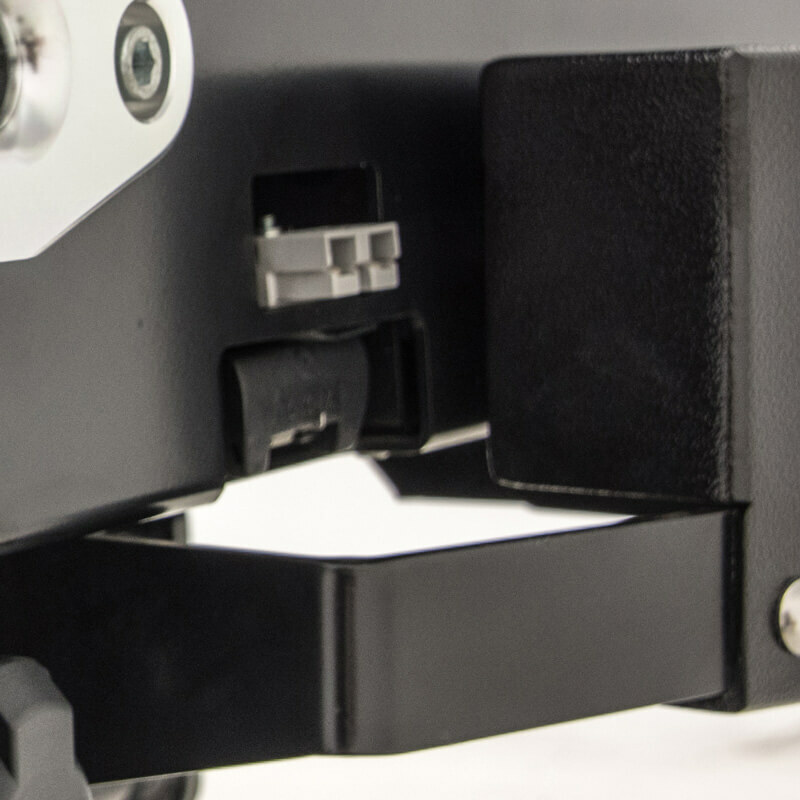 Our aim was to create a tourer that redefines cross country travel at the same providing unparallelled comfort and convenience. 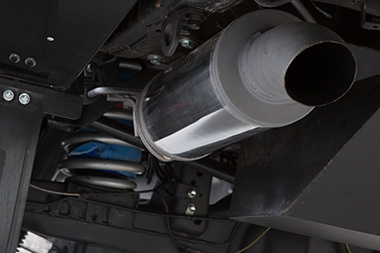 This GVM suspension system comes with matched components for the ultimate in performance, load carrying, and handling. 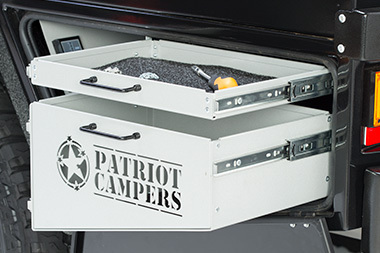 Patriot Campers dual dog crate also doubles as a storage area with door vents than can be closed off to make another massive storage area. 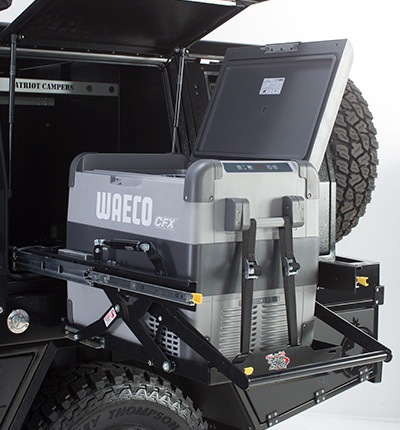 The mini canopy houses everything you need for a touring trip including a fridge, large storage drawer, camp chair storage and a place to house all of your 12V system. 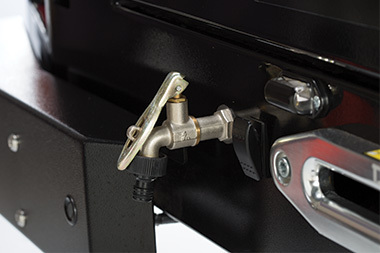 Easy Slide will house up to a 65 litre fridge on an easy to use drop down gas assisted strut. 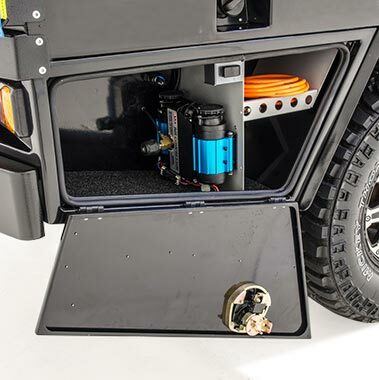 Matched with springs to suit your vehicle weight requirements up to 4inches of lift is safely available providing the lift you require to conquer any extreme terrain. 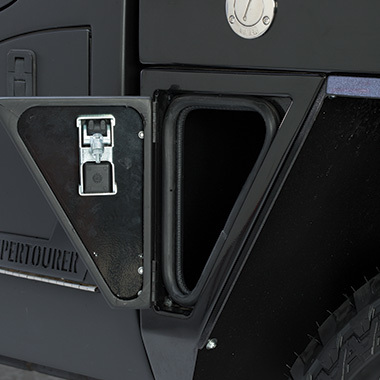 Torquit performance upgrade includes a stainless steel exhaust, engine chip and a programmable pedal torque controller to unleash the beast in your 79. 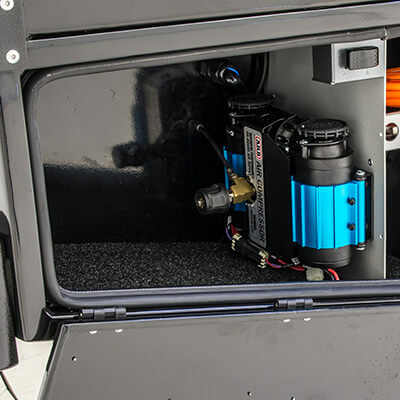 Conveniently mounted in a rear toolbox, the ARB twin compressor with pump up kit gives you total piece of mind. 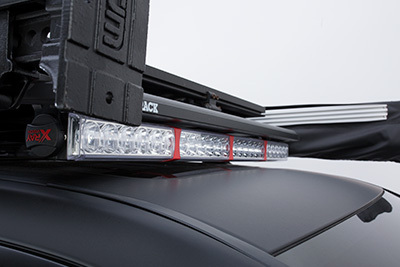 Our Xray performance light package offers the best of both worlds with pencil HID to get the light over 2km from the truck whist the combo spreader bar mounted on the roof covers everything in the short distances. 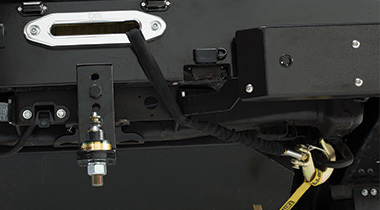 The NEW 2015 Tow-ProTM Elite is an electric trailer brake controller designed to suit most common trailer braking applications whilst requiring minimal dash space and being simple to install and operate.